Answer: Since you know the One we believe in is Almighty God, what we read is the word of Almighty God, and how we pray is in the name of Almighty God, why do you say that The Church of Almighty God was created by a man? I do not know what you based your opinion on. The One we believe in is the incarnate Almighty God, not a man. 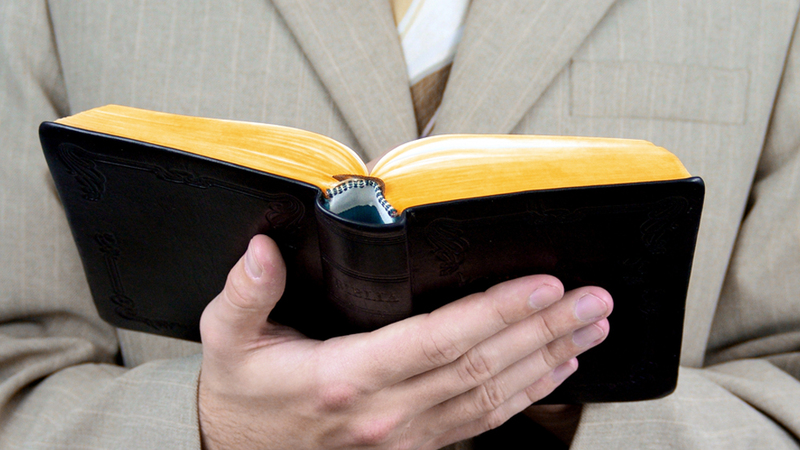 Most of the words spoken by Almighty God are recorded in the book The Word Appears in the Flesh. 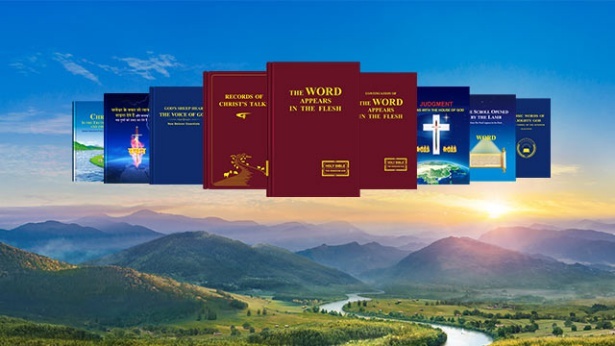 Since you have not read The Word Appears in the Flesh, it absolutely cannot be said that you have a real understanding of The Church of Almighty God. From the Chinese Communist government's persistent publicity and rumors that The Church of Almighty God was created by a man, it is enough to prove that the CCP doesn’t understand The Church of Almighty God at all. The CCP doesn’t even discern how The Church of Almighty God was begotten, but still insists that The Church of Almighty God was created by a man. Isn’t it absurd? Don’t you think this is preposterous? I ask you then, by whom was Christianity created? By whom was Catholicism created? In fact, Christianity, Catholicism, and the Eastern Orthodox Church were all begotten by the redemptive work of the Lord Jesus. Although the apostles established churches everywhere, it does not mean that Christianity was created by the apostles. The churches in whatever age were begotten because of the appearance and work of God. The churches in the Age of Grace were begotten because of the Lord Jesus’ appearance and work. The churches in the Age of Kingdom were begotten because of Almighty God's appearance and work. Had it not been for God’s appearance and work, could the apostles have been able to establish the churches on their own? Those who joined the church were believers of God. They were not believers of the apostles. Therefore, it cannot be said that the churches in whatever age were founded by man. Even when it was the apostles who established the churches, they still needed to be built in the Lord Jesus' name. The apostles could not say that the churches were founded by them. This is a publicly recognized fact! Why can’t people of the CCP speak according to the facts? Why distort the facts so blatantly? Isn’t it preposterous? Almighty God appeared at work in the last days to express the truth. When Christians of all factions who love the truth heard the voice of God speak and saw God’s appearance at work, they all returned to Almighty God and they were brought before the throne of God, thus creating The Church of Almighty God. There are many people who established churches everywhere, but can you say that the establishers of the churches are their creators? The creation of The Church of Almighty God was begotten because of Almighty God’s appearance and work. This is the fact that no one can deny. Previous：Question 3: I hear that many pastors and elders of the religious community say that who you believe in is a man and not Jesus Christ. Yet you witness that this man is the returned Lord Jesus, that is, Almighty God appearing at work. Do you know that the Communist Party has long condemned Christianity and Catholicism as cults? And you dare to witness that the Lord Jesus has returned, that is Almighty God; aren't you bucking the head wind? How can the Communist Party spare you? The Communist Party even dares to designate Christianity and Catholicism as cults, and the Bible as a cultist book. This is an open fact. Don't you know that? If the CCP dares to condemn and deny the world’s orthodox religions, why couldn’t it condemn Almighty God's appearance and work? When the CCP could designate the Bible as a cultist book, why would it spare The Word Appears in the Flesh? The public security agencies have confiscated many copies of this book. Many people are studying it. I just don't understand it. Why do you people have to believe in Almighty God? Why insist on witnessing that Almighty God is Christ of the last days? We understand everything about His family background. He is an ordinary person, just like Jesus that Christianity believes in. Jesus, the son of a carpenter, had parents and siblings. He was just an ordinary man. Yet the entire Christendom worships Jesus like God. Almighty God that you people believe in is also a man like Jesus. You insist on saying that He is God, this is quite inexplicable. You endured so much persecution and pain for believing in an ordinary man. Is it worth it? I hear that there are many people who gave up their families and careers to follow Almighty God. I doubt what you can ultimately get from believing in God like this? What is the basis for you to believe that He is God? Next：Question 5: The Bible says, “Let every soul be subject to the higher powers. For there is no power but of God: the powers that be are ordained of God. Whoever therefore resists the power, resists the ordinance of God: and they that resist shall receive to themselves damnation” (Rom 13:1-2). Having believed in the Lord for many years, you should understand the meaning of this statement. The Bible was inspired by God after all. I believe that we believers of the Lord should obey those in office and power. I don’t know how you receive it. It doesn’t work in China if you defy the authorities. The Communist Party is a revolutionary party. If you disobey, it will revoke your life. To believe in the Lord in China, one must accept the Communist Party’s United Front and join the Three-Self Church. There is no other way out! You see, there are many believers of the Lord in the Three-Self Church who are loving and pious also. Can you say that they do not truly believe in the Lord? Those of you who believe in Almighty God insist on spreading the gospel and witnessing for God regardless of how the Communist Party persecutes and arrests you. Even when you are kept in prison, you still stand up to witness for the Lord and refuse to be Judas. Honestly speaking, this is what I admire about you. Conversely, talking about what we seek in our belief in the Lord, isn’t it all about our desire for a harmonious family and a peaceful life? Look at how prudent we people of the Three-Self Church are. We are a patriotic and church-loving organization that glorifies God and benefits the people. We neither offend the ruling authorities nor betray the Bible. We can openly worship the Lord in church without having to hide in fear. Isn't this the best of both worlds?